There’s a certain sense of loss in realizing that the best of each us is being eroded away, or lies wasting away, as hidden potential within the cells of our bodies. The gradual erosion of potential is often found in cases where there is an underlying imbalance in the body that creates chronic inflammation and the inability to absorb nutrients for normal function and repair. When chronic inflammation and nutritional imbalances are combined, degeneration of tissues advances at a far faster rate than it normally would. I have found this to repeatedly be the case in people who have been exposed to antibiotics and as a result suffer from the system-wide imbalances that are created from their usage. In many people, this may look like a normal aging process. In the athlete, it usually is associated with excessive wear and tear on joints and failure of the muscles and the body to respond and perform as they once did. Athletic careers and pursuits can end prematurely, and the hopes and dreams of what could have been, remain forever as hopes and dreams. “DOMS (Delayed Onset Muscle Soreness) typically occurs after unaccustomed or high-intensity exercise, most commonly anaerobic. 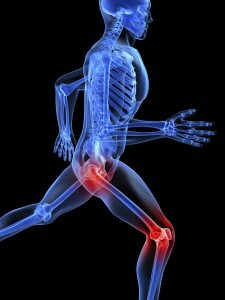 Soreness is usually noted at 24 hours post-exercise and can last as long as 5 to 7 days post-exercise. Although several models of DOMS have been suggested, researchers generally agree that muscle damage initiates a cascade of events leading to DOMS. The muscle damage and oxidative stress response following anaerobic exercise have been deemed necessary to promote skeletal muscle remodeling to gain benefit from the exercise, but enhanced recovery may be advantageous for more rapidly promoting an anabolic environment. Exercise elicits mechanical and hormonal reactions from the body. The resulting muscle damage from these reactions elicits inflammatory and oxidative responses that may exacerbate muscle injury and prolong the time to regeneration. The hormonal contributor to muscle damage during exercise is derived through basic neuroendocrine responses to exercise demands. High intensity exercise triggers the activation of the hypothalamic-pituitary-adrenal (HPA) axis leading to the release of cortisol and other catabolic hormones. These hormones function to meet increased energy needs by recruiting substrates for gluconeogenesis via the breakdown of lipids and proteins. Through their catabolic nature, these hormones also indirectly lead to muscle cell damage. While intense exercise is usually associated with greater degrees of DOMS, inflammation, immune system suppression, and oxidative stress, mild-to-moderate exercise is typically associated with boosting the immune system and supporting greater health in the body. If however, there is an underlying state of chronic inflammation due to an infectious agent, then even mild-to-moderate exercise may result in many of the symptoms commonly found with intense exercise, as fuel is added to an already burning fire. Over a period of months and years, this can lead to shortened productivity and limited excellence in today’s athletes. In one sense, it is the equivalent of driving with the brakes on. The most frequent infectious agent that fits this model is Candida albicans. C. albicans commonly exists as a yeast organism in the human body and is considered a normal part of healthy tissue flora. Due primarily to the effect of antibiotics, this yeast organism transforms into a pathogenic, problematic fungal form that has been associated with a multitude of conditions and diseases in the body. Since the introduction of antibiotics in the late 1940s following WWII, there has been a remarkable increase in the research of candida-related conditions and diseases (2) with over 65,000 research articles being published since 1949. On average, that is enough for one research article per day in the last 51 years, with enough left over to fill another 6 years of daily research publications. With a one-to-one association between antibiotic use and the development of systemic fungal infections, implications exist for society as whole being afflicted with a post-antibiotic syndrome of fungal candida and immune system dysregulation. In systemic fungal candida infections, ongoing pro-inflammatory reactions from both systemic and localized immune system responses combine with the virulence mechanisms of fungal candida to create a constant state of oxidative stress, pro-inflammatory hormonal imbalances, chronic tissue inflammation, and tissue degeneration. This type of smoldering, nonresolving inflammation becomes a constant component of the microenvironment within and is implicated in many diseases and conditions. Joint restriction, pain, swelling and inflammation, weight gain, fatigue, blood sugar imbalances, nutrient deficiencies, slower post-exercise recovery periods and other symptoms are commonly associated with this underlying condition in today’s athletes and others. In response to patients who had these problems, I developed the Candida Plan to counteract this post-antibiotic syndrome and subsequent systemic imbalances. Athletes who have followed the Plan have seen a decrease in the degree and amount of inflammation experienced during exercise, as well as pre- and post-exercise inflammatory responses with faster recovery times. Many of the conditions associated with fungal candida that impact human performance have been diminished and resolved. Marathon runners and Tri-atheletes found themselves competing without “hitting the wall.” Wrestlers, weight lifters and others found that their joint pains and restrictions decreased and disappeared. Increased energy and vitality that is sustained throughout the day has been a common response. If we are to achieve the best that we can be, we must rid ourselves of these types of physiological limitations, or settle for less and be happy with what could have been. Get started today on a healthier life with Dr. McCombs’ Candida Plan. For more Candida Diet Facts, check out our Candida Facts Paper with over 75 scientific references.